Hi everyone and welcome! It's Kathy Clement's turn to host the latest challenge over on the Frilly and Funkie Challenge blog. She's called it 'To Everything There Is A Season' and here's her description for the challenge requirements; "Fall is one of the most beautiful seasons of the year. Brilliant leaves, fall flowers, crisp blue skies, and migrating geese fill the season with a sense of wonder and anticipation. You're invited to create a vintage or shabby chic project that captures the beauty of fall. 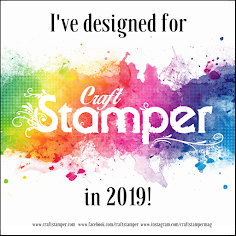 You can make a card, a tag, share a journal entry or any kind of project you desire. Just be sure to create it in the shabby chic or vintage style and be sure to use fall (not Halloween) images and colors." Up close you can see the fresco finish to the base of the cover and the look of weathering to the plaster. And then there's those faded roses, now losing their colour and showy beauty yet still with a delicacy to them. The little rusty orange flowers in between provide the perfect contrast and the bronze effect embellishments extend the design to each end of the cover. On the spine of the journal, and continuing on with the whole romantic theme, there's a collection of bronze effect charms (including two containing off cuts of paper from the signatures inside). They add a touch of 'music' as they jangle together. Inside the cover, this journal contains signatures created from the 'Love Clippings' A4 paper pad with pockets and tuck spots stitched in place to hold all those wonderful romantic memories. It's as though Prima created these paper pads with Travelers Notebook sized journals in mind, they work so well! At this stage you are going to want to see inside and find out how I made this right? Aha! You're gonna have to wait until Saturday for my complete step by step tutorial over on the Frilly and Funkie challenge blog. For everyone who's asked how I put my no-cut journal signatures together you'll get the complete lowdown. So for now that's my DT project for the current Frilly and Funkie challenge 'To Everything There Is A Season'. 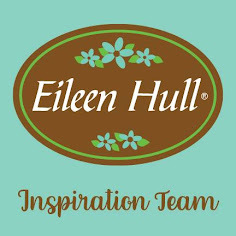 Make sure you hop on over to see what my talented team mates have been inspired to create for this challenge, and remember to link your own shabby chic or vintage projects featuring rust to be in with a chance of winning one of the fabulous prizes that are up for grabs. 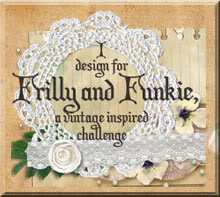 Don't forget, you'll get the full tutorial over on the Frilly and Funkie challenge blog this coming Saturday. Editor's Note; As promised at the end of the tutorial here's a video walk-through of the completed journal. Wowzzers! That is some stunning journal! The flowers are GORGEOUS! I love your plaster pieces and there is even more beauty inside? Can't wait to see the tutorial! Oh, yes! this just melts my heart in so many way, Jenny! Those roses are the most beautiful ones I've seen, and I really hope there is a tutorial on these in our future! And the aged plaster pieces are drool worthy! Amazing work, Jenny, and I can't wait to see the pages! Hugs! I want to hold this in my hands and absorb every gorgeous detail. Wow, wow, wow! I love what I see here! The flowers are amazing, the charm cluster is so romantic and perfect. I want to turn the pages and peep inside! You made me fall in love for sure! Another masterpiece! A beautiful journal! I'll be sure to look for your step by step tutorial on Saturday. I love the roses and the background. This one is glorious - those roses are breathtaking! Stunning work and I look forward to seeing how you put those beautiful signatures together!